There is nothing more delicious than biting into thick, rich and chewy dark chocolate brownie filled with more chocolate. 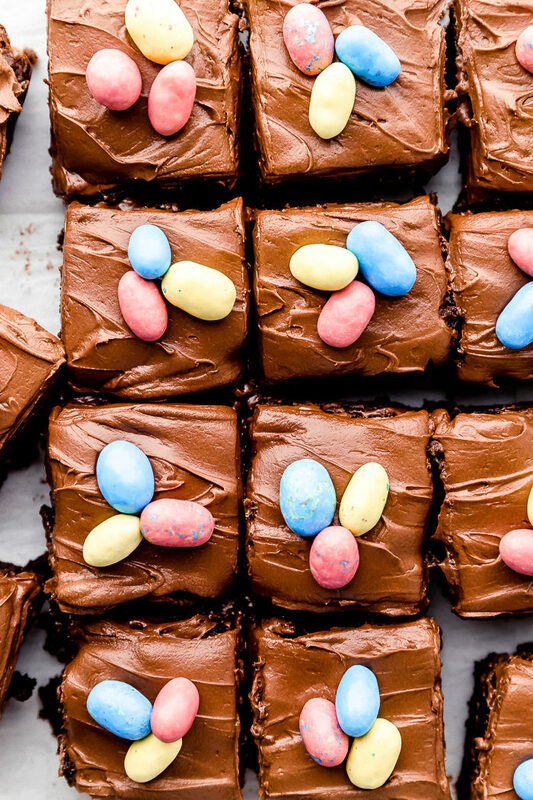 These adorable Easter Brownies will be perfect on your dessert table this Holiday season. For all you chocolate lovers out there you will need to also plan on making this decadent Texas sheet cake or these ultra chewy triple chip caramel brownies, you will love each and every bite. 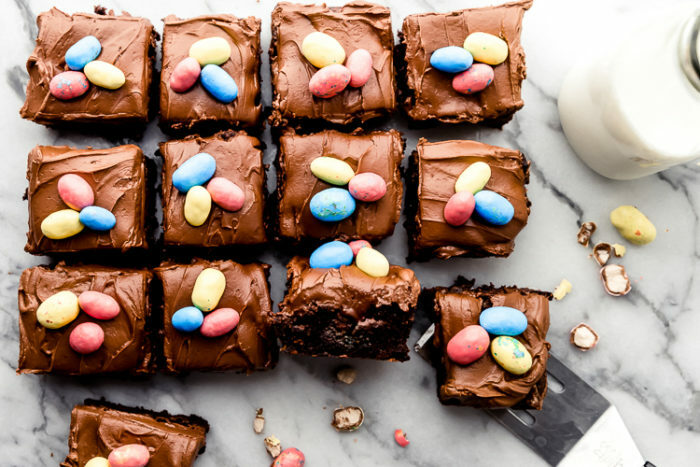 When it comes to chocolate dessert, brownies are always a huge family favorite and these Easter brownies are going to be gone before you walk away. Each bite is packed with layers of chocolate not to mention the candy surprise baked right inside. 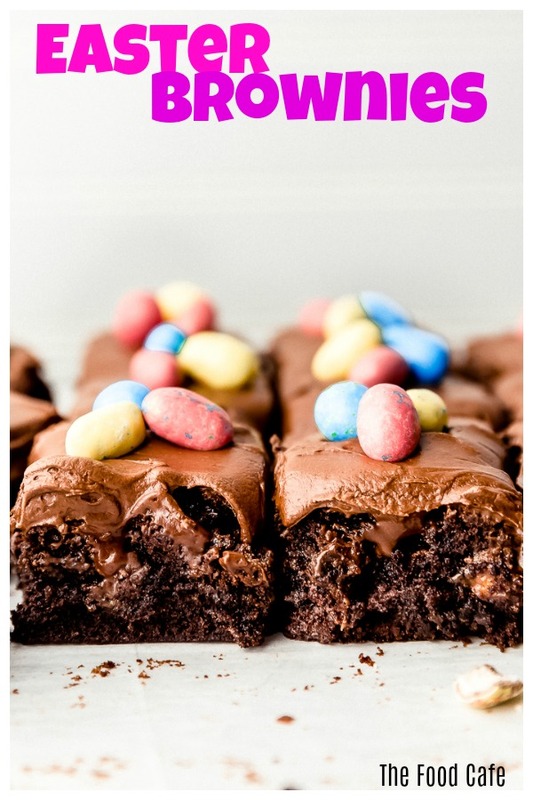 Easter is a fun time of year and has a great meaning to our families life, so to be able to make an Easter dinner for my family and friends and serve yummy desserts like these Easter brownies is enjoyable for me. Every year on Easter my Dad has a huge Easter egg hunt for all the kids and then one for the “big” kids. We all look forward to it and then head to the table for an Easter feast. 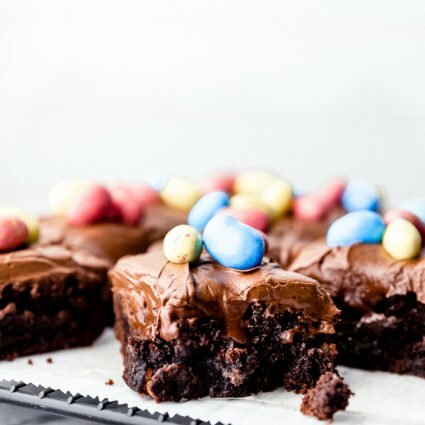 However, there are some little feet that bypass the dinner portion and go directly to the dessert, and this year I know they will love sinking their teeth into these super fudgy Easter brownies. Why are my brownies hard? 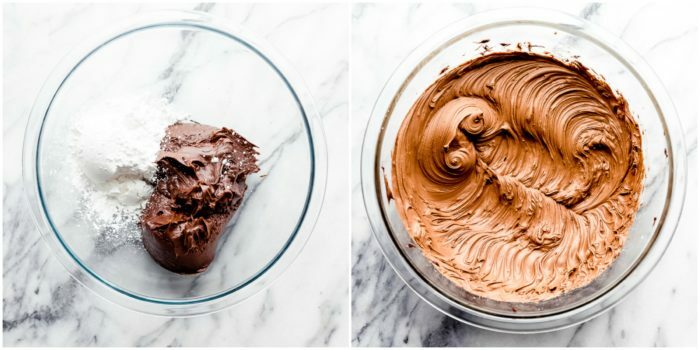 Be sure to not over mix your brownie batter and spray or coat the baking pan with nonstick cooking spray, shortening, butter, or line with parchment paper to help prevent your brownies from getting hard. 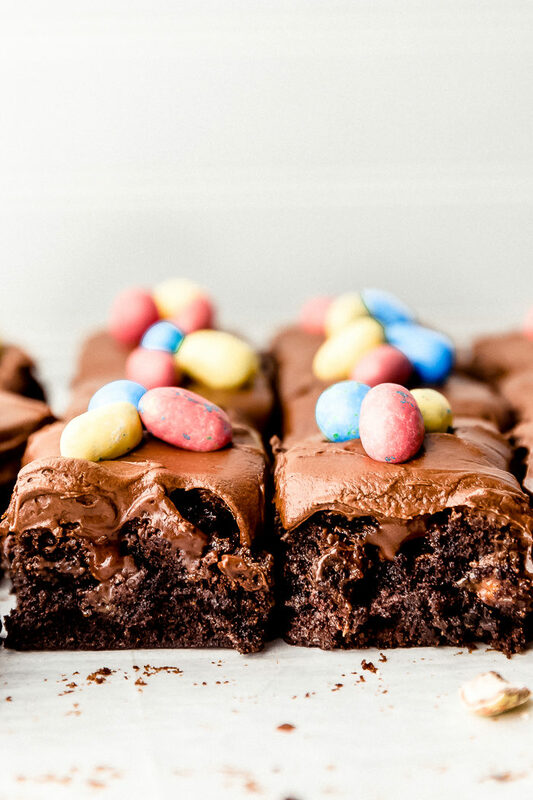 How do you make Easter brownies? 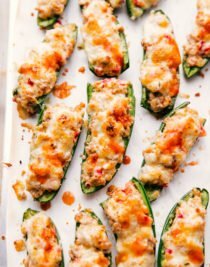 Preheat oven to 350 degrees and spray an 8X8 baking pan with nonstick cooking spray or line with parchment paper and set aside. Prepare your favorite box brownie mix according to package directions. Pour in half the brownie batter into prepared baking pan and add 1 to 1-1/2 cups candy eggs (I used whopper robin eggs). 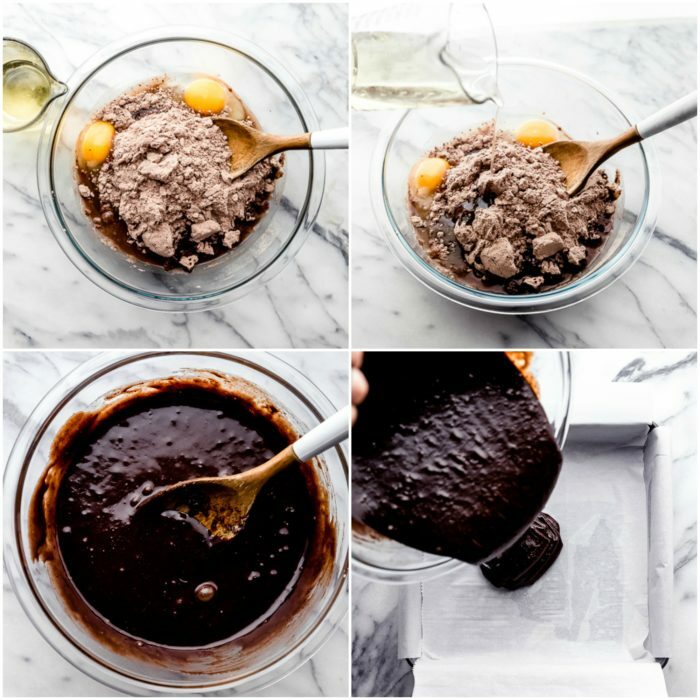 Cover with remaining brownie mix and bake for 45 minutes. 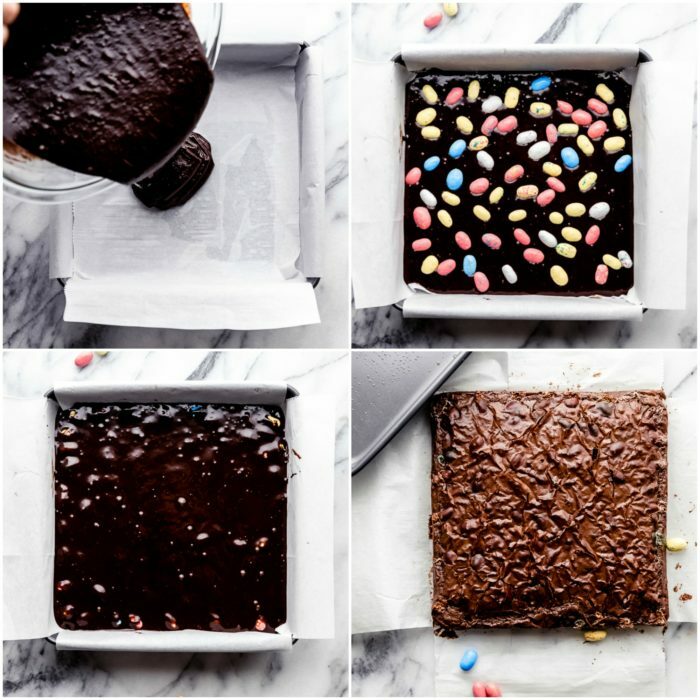 Let cool 5 minutes, then lift brownies out of pan by grabbing the edges of the parchment paper. Once fully cooled begin to frost and top with additional candy eggs. In a large glass bowl add one 16oz container of rich and creamy chocolate frosting along with 1/3 cup powdered sugar. Mix with electric mixer until blended and spread evenly over cooled brownies. Yes. 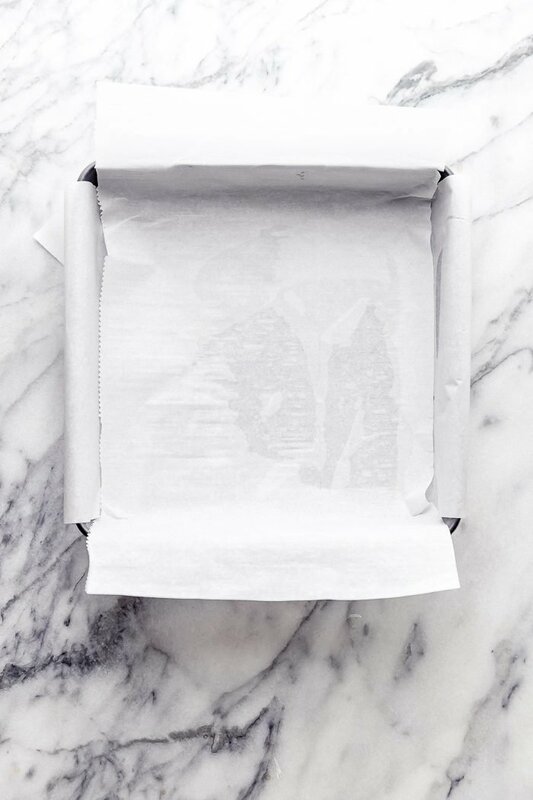 Make sure to line a container with parchment paper or aluminum foil and place the brownies inside the container. If you have more than one layer of brownies place another piece of parchment paper on top to the brownies do not stick to each other. Seal in an air tight container and store in the freezer. How long do brownies last in the freezer? Brownies can last up to 3 months if properly stored in the freezer. 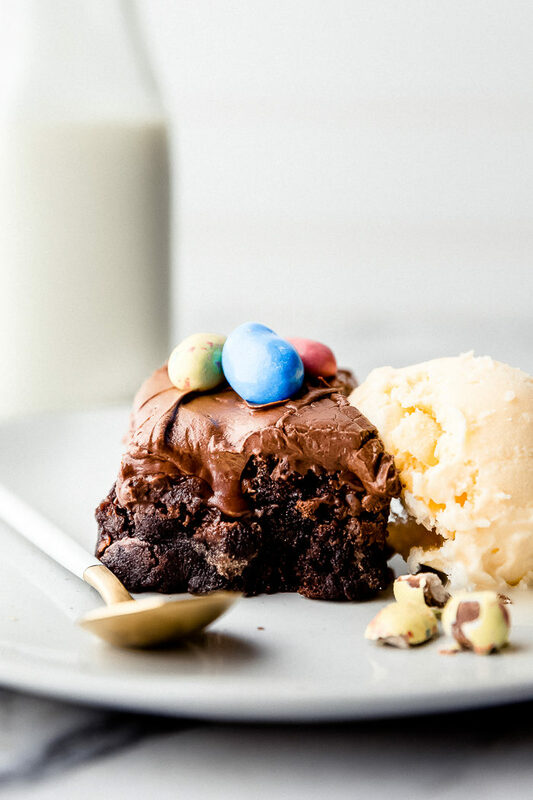 Keep the smiles coming all Easter long with these deliciously rich and creamy brownies, that are frosted and topped with fun easter candy eggs. 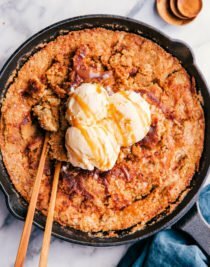 Looking for more irresistible dessert recipes? 1 box favorite brownie mix made according to package instructions. 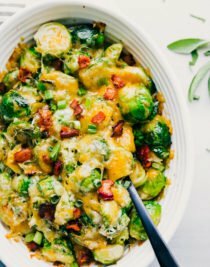 Preheat oven to 350 degrees and spray an 8X8-baking pan with nonstick cooking spray or line with parchment paper and set aside.